The President Muhammad Buhari administration has advanced the narrative of “technically defeating,” “tactically defeating,” and “completely defeating” Boko Haram. As much as I will not necessarily want to tag the Buhari’s Boko Haram “success” as a myth, the “success narrative” has been blown out of proportion. The decline of Boko Haram’s strength is not necessarily the result of proactive steps of the new administration or even the relocation of the command center to Maiduguri. Although the present administration would want to claim victory over Boko Haram for the recovery of territories previously annexed by the group, the fratricidal wars that started from the time of the Nigerian Taliban and the series of endogenous schisms that plagued the group did more damage than the salvos of the government. 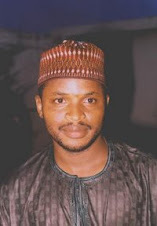 Even before the public disclosure of the mutual recrimination between the Abubakar Shekau/Man Chari and Abu Mus`ab al-Barnawi/Mamman Nur factions, Boko Haram was clearly heading towards a natural death on account of the group’s tactical disagreements over takfir (excommunication of Muslims) and the killing of Muslims; strategic disagreements between the group’s pragmatists and doctrinarians; rifts with al-Qaeda affiliates in the Islamic Maghreb; tense relations with the Islamic State in Iraq and Syria; dissent over goals and views of the enemy; ideological competition with other Muslim actors; and a dwindling support base of fighters who are constantly befuddled by the faction to support at each epoch of the group’s schisms. 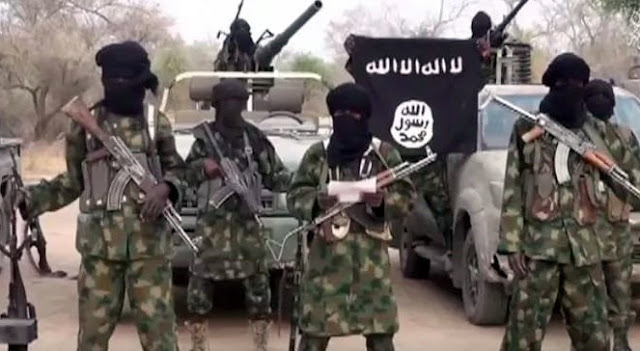 This piece only gives a broad overview of the internal debates and fratricidal wars plaguing Boko Haram. An in-depth examination of this issue can be found in my article titled “Boko Haram’s Internal Civil War: Stealth Takfir and Jihad as Recipes for Schism,” which will be published on March 15, 2018 as part of a volume titled, Boko Haram Beyond the Headlines: Analyses of Africa's Enduring Conflict. The first schism evolved from the debate on the appropriate time to declare jihad and the necessity of establishing Islamic evidence (Iqāmat al-dalīl/al-ḥujja) on political rulers ruling with secular laws, and it took place between Muhammad Yusuf and Abu Abdurrahman Muhammad Ali al-Barnawi during the formative period of the Nigerian Taliban. Yusuf reasoned that by establishing Islamic evidence on the political rulers ruling with secular laws, it would attract a large followership and support communities that would be ideologically immune to the arguments put forth by the Salafi clerics in their defense of the political rulers. These communities would then be better indoctrinated to fight jihad against the secular rulers. On the other hand, Ali argued that it is not obligatory to establish the Islamic evidence on the political rulers before declaring jihad against them because none of them can claim to be ignorant of God’s command to rule with His laws as opposed to secular laws. The second schism took place between the followers of Abu Usama al-Ansari (Auwal Ibrahim Gombe) who later launched Ansaru in 2012 and the followers of Abubakar Shekau. The schisms covered the debate on the counter-productive strategy of targeting Muslim civilians especially those who participate in elections, Shekau’s uncompromising stance on al-`udhr bi-l-jahl (excuse of ignorance), Shekau’s excommunication of Muslims, Shekau’s demand for obligatory obedience, his refusal to permit his followers to travel to Somalia and Algeria without his permission, and his complete rejection of the group’s Consultative Council. Even the mediation from Abu Hasan Rashid al-Bulaydi and Abu Abdalla al-Shinqiti of al-Qaeda in the Islamic Maghreb could not bring the two factions together. The first and second epoch of schisms did not claim many casualties within the group unlike the third epoch, which reached its peak during the current administration. The third epoch of schism witnessed the killing of top commanders in the group, most of whom were killed for petty reasons or for insubordination. For example, Taasi'u 'Abu Zinira' who was involved in the negotiation for Chibok girls was killed by Shekau; Mallam Abdulmalik, BH leader in Kaduna, was also killed; Abu Amr Falluja and Ba Gomna (a relative of Shekau) were killed (the latter was killed because he bought a house at Amchide in Cameroon); Mustapha Chad who was sanctioned by the US Treasury was killed; Kaka Allai who allegedly led the Monguno Barracks attack in 2013 was killed; Abu RPG was killed for backbiting; Abdullahi Hudu was killed for narrating a dream where Muhammad Yusuf told him to speak to Shekau to refrain from slave raiding; Adam Vitiri and many others too numerous to mention were all victims of the in-group fratricide. Both factions view political rulers, soldiers of the Nigerian Army, and members of the Civilian JTF as infidels. But Nur and Abu Mus`ab al-Barnawi do not excommunicate Muslims who do not view the actors above as infidels as long as they do not provide active and passive support for those actors in their war against Boko Haram. They excuse the Muslims until the “actions of unbelief” of the actors above have been clearly explained to Muslims. According to Shekau’s interpretation, Nur and Abu Mus`ab al-Barnawi have also become infidels based on their position. The excommunication of Nur and Abu Mus`ab al-Barnawi is lawful in Shekau’s view based on the permissibility of ‘Takfīr al-Adhir’ (making takfīr on the one who gives the excuse of ignorance on an individual engaging in acts of polytheism). Therefore, it is permissible to shed the blood of Nur and Abu Mus`ab al-Barnawi and those who follow them in ISWAP. It is also permissible to shed the blood of anyone who doubts the permissibility of killing Nur, Abu Mus`ab al-Barnawi, and their followers in ISWAP. So Boko Haram has been weakened not only by government counterterrorism operations but also by their own squabbles and internal disputes. In view of these internal and potentially endless disputes, even without the salvos of the government, the group is eventually heading towards a natural death, but the course of the death changed with the dynamics that came with the payment of ransom for the release of the captives kidnapped by both factions of the group. The extent to which the payment of ransom will alter the group’s operations is yet to be seen, but for the foreseeable future the internal civil war is nowhere near over. Our situation would have been worse today if not for the fratricide that wrecked the group to an unimaginable position. Bursting the Myth of Buhari's Boko Haram "Success"